One of the great things about living on the Otago Peninsula and having children at a local school is you get to do some of the cool things that they do as well. I was one of two parents who took a group of children from Portobello School to Okia Reserve for “World Ranger Day” with the Yellow-eyed Penguin Trust. Getting children out of the classroom and providing a genuine ranger experience was a great concept, but having pupils from the three Peninsula schools was pure genius. Like it or not there is a need for conservation groups to be prepared to pass on the mantle of stewardship onto a younger generation, and the earlier we do this the better. Peninsula kids are very fortunate that they grow up in a landscape inhabited by iconic wildlife species. We can only hope that this experience and their own inquiry will develop either empathetic citizens or active conservationists. What I really enjoyed about the ranger day was the hands on activities that provided a genuine wildlife management experience. From exercises in measuring and identifying birds, to pest control and habitat creation, each activity was designed to show what really needs to be done in wildlife conservation. So much of what actually goes on in the field is unknown to the public, and to be able to provide that experience for our school children was a great experience. I’m sure many of the pupils will share their experience with their parents and family. After events like this there’s always time to pause and reflect on some of the things that you take away from them. One of the big issues that stands out for me is how much the Peninsula relies on voluntary organisations and citizen conservationists to protect and advocate for our wildlife and landscape. The voluntary hours, fundraising and hard work put into places like Okia is quite staggering, and that is both comforting and concerning at the same time. It also highlights my view that the Peninsula Community Board has an important role to act as advocates and supporters for conservation groups in our district. That means using policy, planning and financial forums to ensure this critical work can continue on the Peninsula. After my experience at Okia it’s not difficult to understand just how important that role is and how rewarding it can be for our children today and in the future. 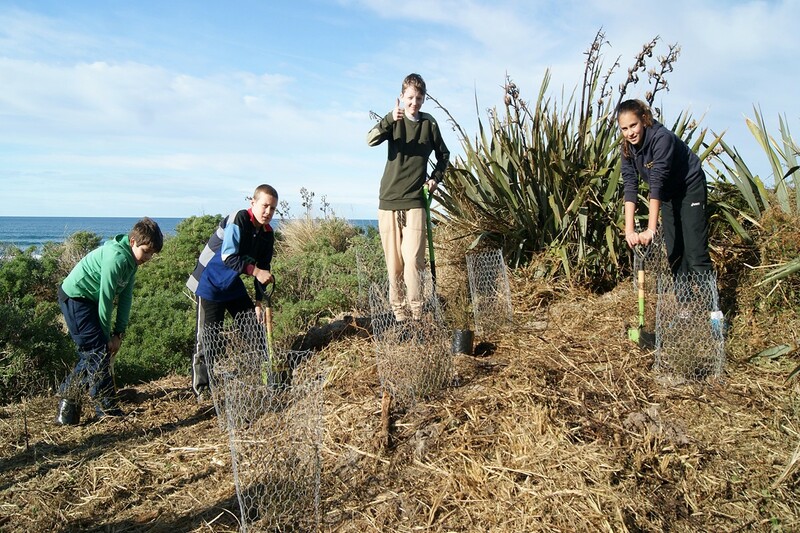 This entry was posted in Dunedin, Local Issues, Otago Harbour, Otago Peninsula, Otago Peninsula Community Board, Paul Pope and tagged Conservation, Dunedin, Ecology, Environment, Environmental Education, Hoiho, New Zealand, Okia Reserve, Otago Peninsula, Otago Peninsula Community Board, Paul Pope, Peninsula, Peninsula Schools, Portobello School, Victory Beach, Wildlife, World Ranger Day, Yellow-eyed Penguin Trust on August 20, 2014 by Paul on the Peninsula.